The fuel of life is feeling. If we are not filled up in childhood, we must fill ourselves as adults. Otherwise we will find ourselves running on empty. What does Empty feel like? What causes some people to feel it? In last week’s article, Not Sad Not Hurt Not Angry: Empty, we talked about how the Empty feeling is a result of having a wall inside of you which essentially blocks your emotions away. Having a wall like this is functional in some ways. 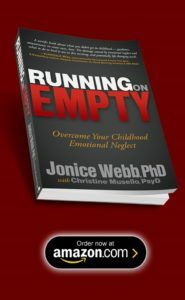 It can get you through your childhood by allowing you to cope with a family who is emotionally unavailable, ignoring, rejecting, devoid of love, or even abusive. But when you grow up and are living as an adult, you need to have access to your emotions. When your emotions are walled off, you pay a heavy price. You pay the price of deep, meaningful, supportive relationships, a feeling of purpose and direction in your life, and a strong sense of self-worth and confidence. Are you thinking, “Yes, I want all that!”? If so, there is a way to get it. 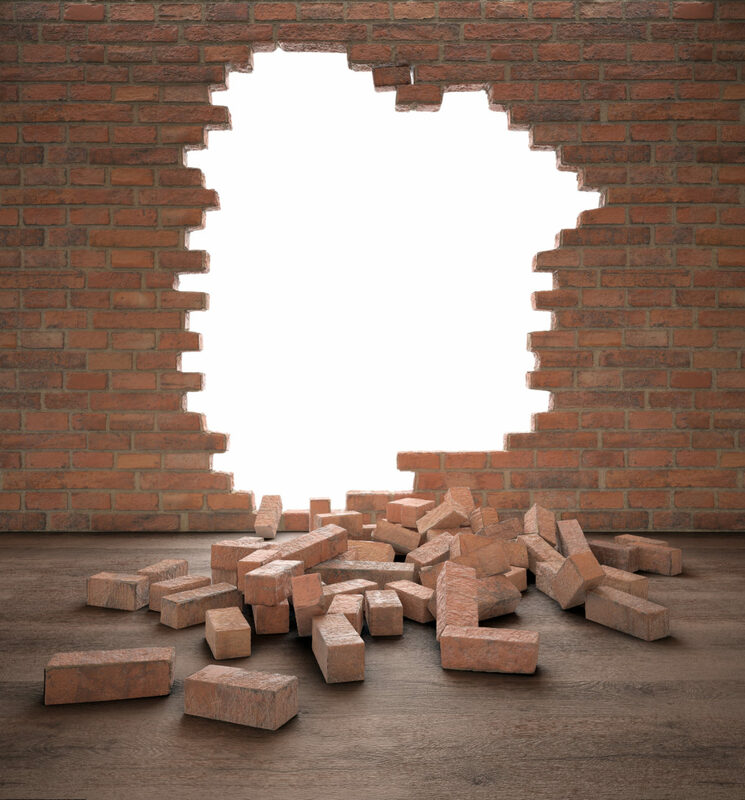 It involves slowly, purposefully chipping away at your wall until it no longer stands between you and your emotions. It takes commitment, effort and perseverance. And if you have those, your rewards will be great. Open up: Override the unspoken childhood rule DON’T TALK. Identify the trustworthy people in your life, and talk to them about difficult things in your life and difficult things in their lives. Talk about things you never would have before. Be vulnerable. Talk, talk, and talk some more. Make friends with your emotions: Several times each day, close your eyes, focus inward, and ask yourself, “What am I feeling?” Pay attention to how you feel about things, and listen to those feelings. Know that your feelings matter. If the feelings that come up are difficult to handle, please find a trained therapist to support and help you learn to tolerate and manage them. Take your own needs seriously: Override the unspoken childhood rule DON’T ASK. Tell the people in your life when you need help or support. And then let them help you. Let people in: Fill your life with quality people. Meaningful relationships are a primary source of richness, connection and meaning in life. Get to know who you are: Pay attention to everything about yourself. What do you love, dislike, excel at, struggle with? What is important to you? What are your values? What do you care about? Once you see the full picture of who you are, you will see your value and worth, and you will feel stronger. Each time you open your heart to a chosen person in your life; each time you notice something new about yourself; each time you listen to a feeling that you are having, you are chipping away. You are breaking the childhood bonds that have held you back all these years. You are making the decision to live life your way. You are taking a chance, counting yourself worthy, and filling yourself with the most powerful fuel there is. 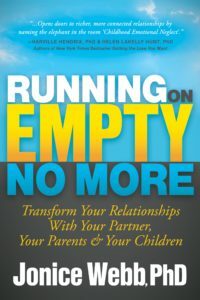 Finally, you will no longer live your life running on empty. 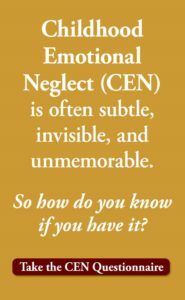 To find out if you are living with CEN, and if so, what to do about it, Take The Emotional Neglect Questionnaire. These look very difficult. Foe me trusting someone to talk to about things that are haunting me is almost impossible. Plus another difficult one is knowing who I am. I really don’t know anymore, or know how to feel happy. This sounds great. Step 1- talk, talk, talk. Identify a trustworthy person to talk to. What if due to your CEN you have major trust issues? I cannot think of a single soul I trust with the fragile part of me. So, where do I start? Dear Mary, start small. Choose one person you can share one small thing with, and then build from there. It will feel safer that way. This is very helpful. I was lost in my own world unable to overcome what I’m going through. I was incapable of knowing what’s wrong with me, and having an emotionally un-supported childhood, my pieces of jig-saw of my life falls in to place. I love this. Thanks for asking us to honor our own feelings. Another approach, if you have uncomfortable feelings, is to use The Emotion Code. It is a free system, available to all, and is simple to use. You need a magnet to clear emotions once you identify them, but the chart is online and anyone can use it. Hi Jonice, I speak with my husband often about these issues. He is the only one I can trust as he is the only one who knows what has happened. Once you get it “out there” you can start to heal. Lots of shame in our family of origin. Even now when I visit my parents the old shaming techniques come into play. At least now I can deal with what as unknown to me for some long. Thanks for sharing all your knowledge.